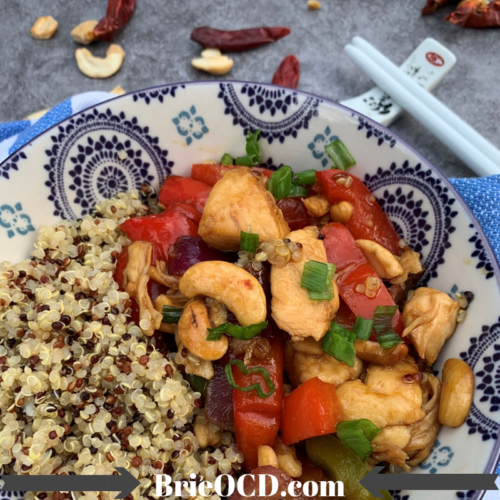 This Cashew Chicken and Quinoa recipe is Asian inspired and a healthy alternative to your regular ‘ol takeout Chinese. There is no other way to describe this recipe except DELICIOUS. You know I am all about the health, so I am always looking for recipes that are packed with protein, veggies and healthy fats. 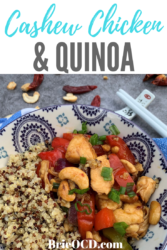 With this recipe, you get a double dose of protein from the chicken and quinoa, you get ample veggies and plenty of healthy fats from the coconut oil and cashews. 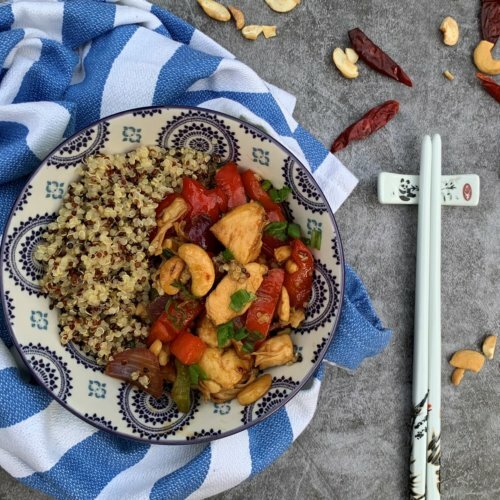 Per serving this cashew chicken & quinoa recipe has 435 calories, 17g fat, 24g carbs and 40g protein. 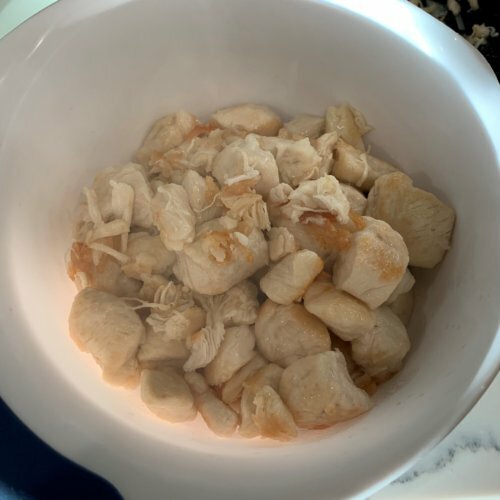 If you are watching your carbohydrate intake and just want to eat the cashew chicken portion it has 325 calories, 15g fat, 17g carbs and 38g protein. Not too shabby if I do say so myself! 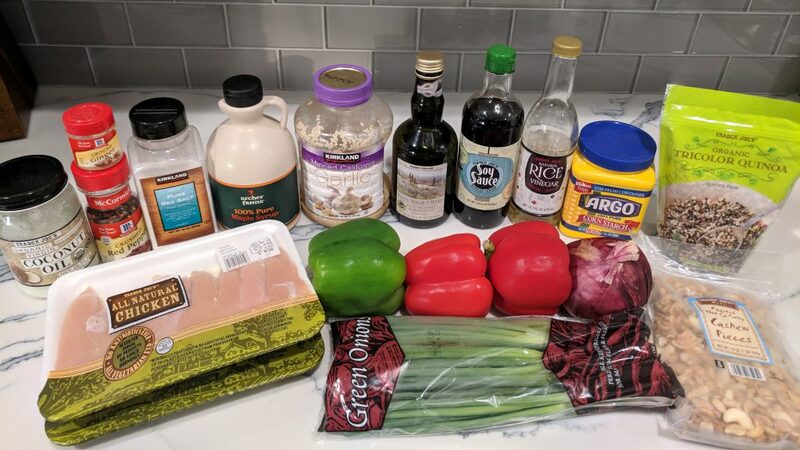 This recipe calls for chicken tenders but honestly you can use chicken breasts and you will be just fine. One time I accidentally bought turkey tenders at Trader Joe’s and it was still delicious. 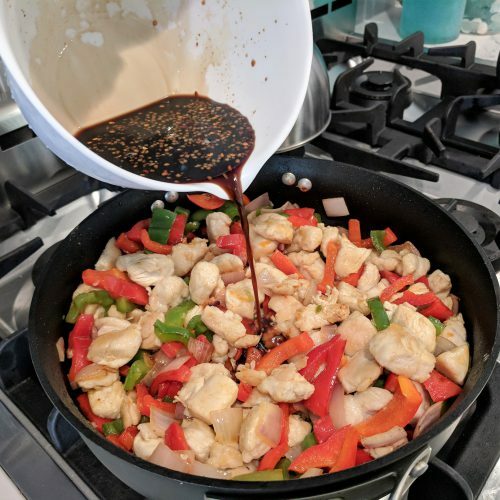 You can play with your balsamic and soy sauce ratio. You need about 8 tbsp total (or 1/4 cup), so you can choose how you split it to suit your taste preference. I think I like a little more soy so that is why I used one tbsp more. I use low sodium soy sauce. Unless you are are some kind of soy sauce freak you will not taste the difference! See more options below! It is easy to make this recipe Gluten-free by just using GF soy sauce, tamari or coco aminos. Using one of these ingredients will replace both the soy sauce and balsamic vinegar. 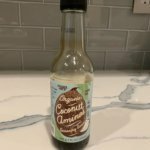 Just use a 1/2 cup of Coco aminos, GF soy sauce or Tamari. I actually use coco aminos all the time now instead of soy. 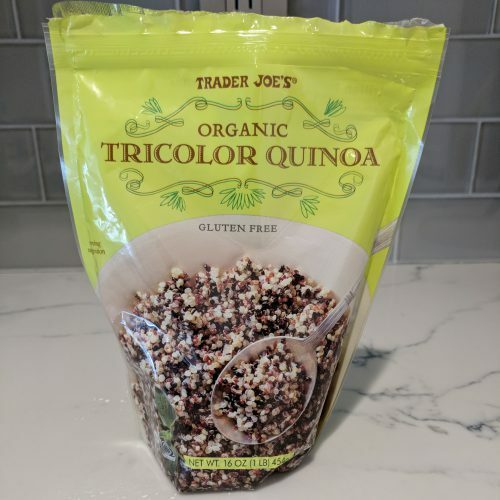 I buy it at Trader Joe’s for $2.99 and find that when you use it to cook you can’t tell the difference. However, if I were to use it straight over rice, well then, that’s a different story LOL. I serve this on a bed of quinoa however if you prefer rice you can always put the cashew chicken mixture over rice instead of quinoa. Hell, get crazy! Try it over cauliflower hash or cauliflower rice! I photographed rice vinegar below but you can also use white vinegar instead. You can also use honey instead of maple syrup. Costco and Trader Joe’s both have good deals on honey and syrup (these items tend to be a little more expensive). Whatever your taste preference is, or whatever you have in the pantry! Easy is the key here. We don’t want to over complicate cooking. It should be fun! Turn up the music and dance while you chef up!! Hope you enjoy! 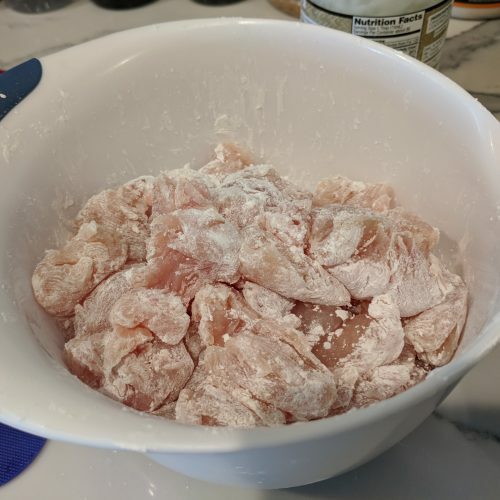 in a medium mixing bowl, toss cubed chicken with cornstarch. in a saute pan, over med-high heat - heat 2 tbsp coconut oil for about 30 seconds. add chicken and and saute for about 8 minutes, until chicken is golden brown on all sides. 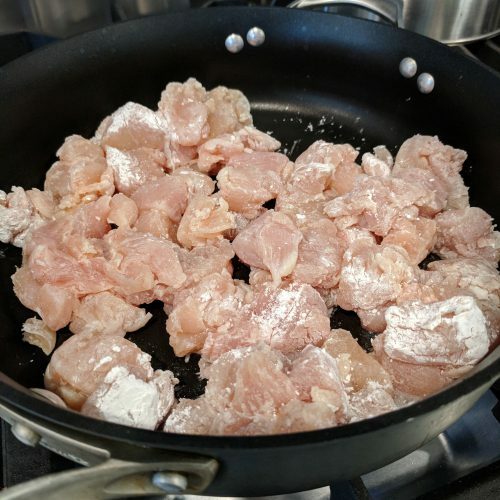 remove chicken and set aside in a bowl. add 2 tbsp of coconut oil to saute pan and heat for about 30 seconds. 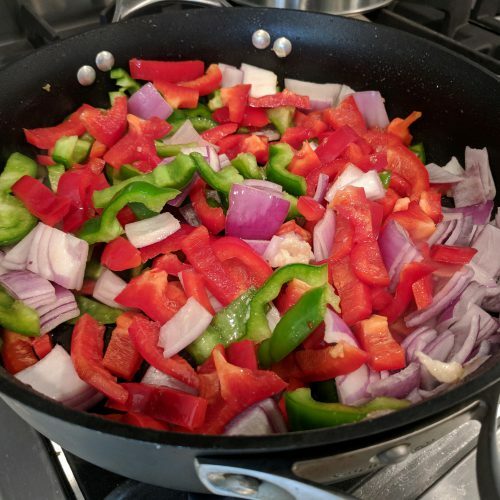 add peppers and onions to pan and saute for about 7 minutes or until onions are translucent. Stirring occasionally. 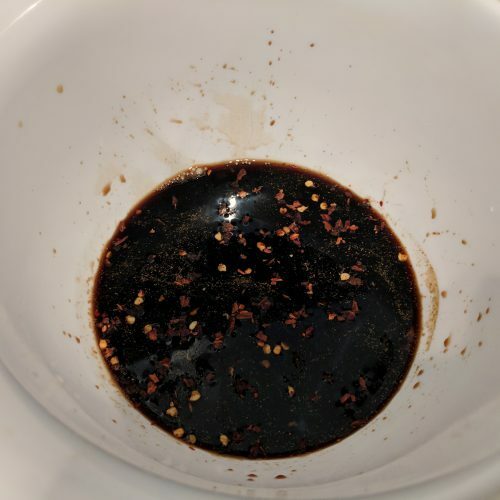 while peppers are cooking, whisk sauce ingredients in a small mixing bowl - soy sauce, balsamic vinegar, white vinegar, minced garlic, ground ginger, maple syrup, red pepper flakes and salt. 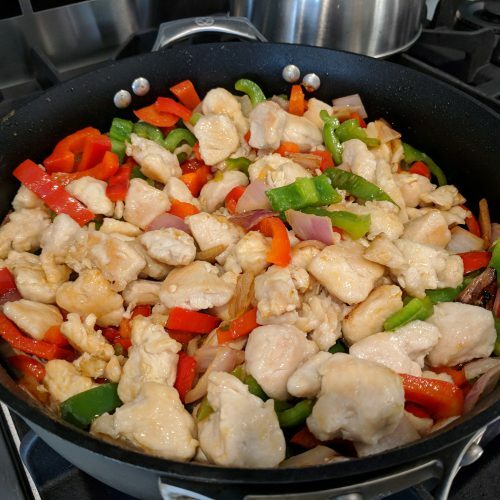 add chicken back to saute pan and stir with vegetables. pour the sauce into the saute pan and bring to a boil for about 2 minutes. Stir constantly until sauce thickens. Stir in the cashews and green onions. remove from heat. place cashew chicken mix on top/side of quinoa, top with some green onions. Enjoy!